At a time of austerity which Chancellor of Exchequer keeps on drumming to the public and with the continued scratch record that he keeps playing( “We’re clearing up Labour’s mess”) has come back to kick him between the legs. 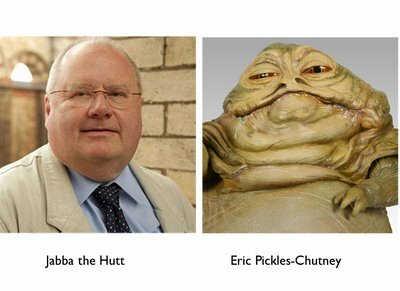 One of his front benchers viz Eric Pickles has been reprimanded for maxing his department’s credit card sum of £217 million. This came to light by the Head Of National Audit Office (NAO). The question is will Eric Pickles repay this amount back to the treasury by the end of the financial year? Me thinks not. Yet he has the gull to tell councils to curb their spending. This is what we call on the streets double standards if we were working in a department which went over the budget can anybody imagine the uproar it would course, we would have lost our job no ifs or buts. In the meantime low and middle incomes can hardly keep up with their bedroom tax let alone their council tax and childcare. But the council are very quick to send around their heavy mobs (Bailiffs) to retrieve the money or they seize your good to the value that you owe the council and if there is a balance which is still owed then god help you and your family as the prince of darkness will stuck the very blood out of your veins. I have come to the conclusion that both our previous and present government(s) have not build enough housing to help of set the economy which will create jobs instead the coalition will come up with more gimmicks before the European, Local Government, and General elections in 2014/15. The coalitions work programme has failed to meet its target and therefore is not fit for purpose despite all the government massive spin on it. On reflection I would concur with Liam Byrne MP when he recently said “The Work Programme hasn’t worked for over a million people. “Three years into the parliament and nearly nine out of ten people on this flagship programme have been failed. Worse of all, the government missed every single one of its minimum targets and in nearly half the country, the Work Programme is literally worse than doing nothing. No wonder the benefits bill is £21 billion higher than planned and no wonder the Chancellor himself was forced to attack ‘under-performing’ back to work programmes. Friedman had set out the monetarist case in 1968 arguing the long-term effect of trying to buy less unemployment with more inflation simply increased both. “Quite simply governments could not deliver growth and employment through a macro-policy designed to exploit a supposed short-term trade-off between higher inflation and lower unemployment”. Second, tackling the crisis of long-term unemployment, because we are simply not so rich that we can afford nearly one million people out of work for more than a year. Unlocking that potential means coordinating skills, education, crime, worklessness, transport, physical regeneration, health, housing, environmental sustainability, social regeneration, spatial planning, and economic development. The next time the coalition gets on their high horses lets us all remind them of their hypocrisy of being over budget and any ministers who wittingly goes over their departmental budget they should be heavily reprimanded like what they do in the Joe public eyes. Tories said that the debt would be down by now this latest round of cuts is there failed economic policy causing hardship and fear to the ordinary hard working people whilst their rich mates get tax breaks. There is huge tax gap in this country caused by failed employment policy, Giving the rich tax breaks and tax dodgers in corporate business. 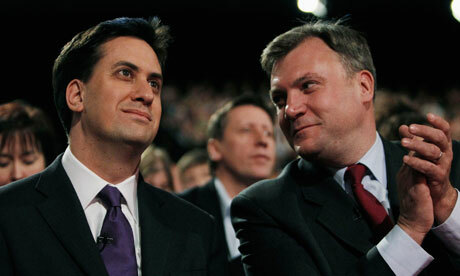 This government has failed to bring the debt down because its economic policies are wrong Ed Balls is right. The Tory Lib legacy is more debt, more unemployment, less public services, more inequality, tax breaks for the rich, bigger bonuses for failing banks, teacher strikes, food banks, Increase in the suicide rate, more homeless. For example: Name me one thing they have done that has benefited hard working families. 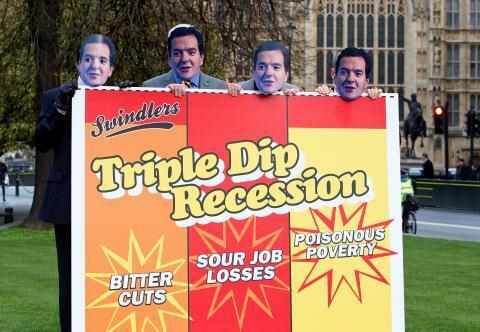 They have reduced living standards, for the disabled and increased child poverty and caused a double dip recession. I can’t wait till we kick them out in 2015. Labour prepare for government. I am unsure who is the most reprehensible character in government on Wednesday 26th Jun 13 Cameron, Osborne or Alexander. 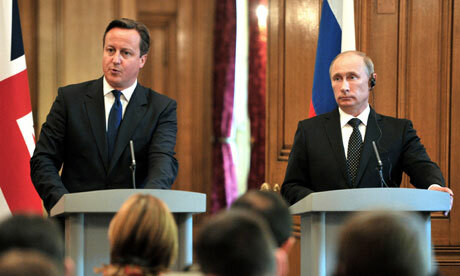 After listening to Danny Alexander in the House of Commons today, there is nothing to separate them. The Speaker had to admonish him for not replying to the questions as put by Christopher Leslie the Shadow Treasury Minister; this is a trait that he has learned from Cameron. The Speaker said that he must not dilate in his reply to questions,(he was once again expounding on labour’s deficit) and not answering the question. On top of the Speaker rebuking Osborne for asking questions of Ed Balls yesterday and reminding people of higher office not to do the same, I do hope that the Speaker is preparing to do the same to Cameron at the next PMQ,s session. It would be about time that he did. As George Osborne showed on PMQs this government is running on empty, the lib-dem’s should find a backbone and end this farce. What a day it has been during the Prime Minister Question Time I have to say that it’s the third time that I have witnessed that Ed Miliband from the public gallery performing well by seeking answers from David Cameron over the budget which I felt that David Cameron felt under pressure. We now know why the coalition is so desperate,Local government will again be the biggest loser on the chancellor, George Osborne, unveils £11.5bn of overall spending cuts in 2015-16, an end to automatic pay progression, and a further round of public-sector job losses. Local government is expected to get a 10% budget cut in Wednesday’s spending review (26Jun13). But, in what will be the last set-piece announcement of spending cuts before the election, Osborne confirmed that the budgets for health, schools and international aid would be protected. Funding for security services will also be well shielded from cuts, and the budget for MI5, MI6 and GCHQ could rise. Osborne is also preparing to unveil details of a consultation on a long-term welfare spending cap, which would cover disability benefits and housing benefit. In a bid to pre-empt the chancellor on what is certain to be a highly political day, Labour has accepted the principle of a structural welfare cap and overall current spending totals for 2015-16. But Osborne will try to put Labour on the back foot by challenging Ed Balls, the shadow chancellor, to accept the need for more cuts in the two years after 2015-16, and to admit that Labour’s plans involve borrowing more, before and after the election. Osborne is also expected to announce measures to end duplication in the delivery of local services, through an initiative called community budgets, which is expected to be capable of saving as much as £4bn in a single year. He is also to set out the size of the single local growth fund, created in response to Lord Heseltine’s growth review last year. Heseltine suggested a pot of £49bn over four years, but is likely to end up with a much smaller sum due to resistance from the business department. The chancellor is likely to say he will look – albeit without commitment – at proposals from the finance commission of London’s mayor, Boris Johnson, which deal with a radical devolution of tax-raising powers, such as stamp duty and council tax, in the capital. Grant Shapps, a former housing minister in the Department for Communities and Local Government, spelt out the plan for a further 10% cut, saying this could be won via efficiencies, without need for frontline services cuts. The insurer Zurich Municipal said local government had shed more than 416,000 staff since 2010, equivalent to a 14.3% fall, taking the total to a record low not seen since September 2006. But with more spending cuts to come a further 16.1% fall in jobs is expected by the end of 2017-18, equivalent to 484,000 staff. In the budget this year public-sector pay awards were to be limited to 1% in 2015-16, but reform to the system of “automatic progression pay would bring further savings”: even in an era of public-sector pay restraint some people were still receiving annual pay increases of 7%. Danny Alexander, the Liberal Democrat Treasury chief secretary, and a central figure in the negotiations over the past year, is expected to announce a further extension of community budgets. All authorities will be told they can “take advantage” of the lessons from the four whole-place community budget pilots – Greater Manchester, Cheshire West and Chester council, the west London tri-borough project, and Essex. These involved the redesign of both council and central government services around a single funding pot. Alexander will make a separate “good news” statement on Thursday setting out government plans for investment in specific infrastructure projects, such as the A14 corridor in East Anglia. The spending review will give a long-term approach to capital planning, including setting planning assumptions up to 2020-21. The business secretary, Vince Cable, was the last cabinet minister to settle on Sunday night, and is believed to be pleased he has protected budgets for apprentices and science. But there is concern that further education has taken a hit. In an effort to show the Treasury he was serious about cutting costs Cable commissioned external advisers to look at ways of bringing down the running costs of the department. Chris Leslie, the shadow financial secretary to the Treasury, said: “This spending review is happening because David Cameron and George Osborne’s economic plan has failed. Millions of public sector workers face losing automatic annual pay increases as part of an £11.5bn cuts package unveiled by Chancellor George Osborne. He also announced a cap on total welfare spending and axed winter fuel payments for expatriate pensioners in hot countries from 2015. Welfare changes mean most unemployed people will have to visit a JobCentre every week instead of fortnightly. The cuts package will cover a single financial year – 2015-16. But shadow chancellor Ed Balls, for Labour, said the new round of cuts represented a “comprehensive failure” of Mr Osborne’s economic strategy. Mr Osborne said the cuts, which will kick in just before the next general election, would ensure Britain “lives within its means”, but they would be guided by fairness, economic growth and reform. Public sector pay rises are frozen at 1% until 2015-16 but Mr Osborne is to scrap so-called progression pay, where civil servants automatically move up through pay grades. In addition, the Treasury says “substantial reforms” to progression pay will be taken forward, or are already under way, for teachers, the health service, prisons and the police, “ensuring that public sector workers do not receive pay increases purely as a result of time in post”. And he announced a tougher regime for jobseekers, saying they will have to visit a Job Centre every week to spend more time with advisers. There will also be a seven-day wait before people can initially claim benefits. “Those first few days should be spent looking for work, not looking to sign on,” said Mr Osborne. In a further change, claimants who cannot speak English “will have to attend language courses until they do”. The “temperature test” for winter fuel allowance will apply to expatriate pensioners living in Portugal, Spain, Greece, France, Gibraltar and Cyprus. 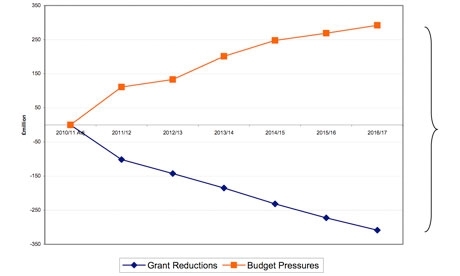 With health, education and aid ring-fenced, all other departments will have to take a bigger hit – average budget cuts for 2015-16 of between 8% and 10%. The Department for Communities and Local Government, the Treasury and the Department for Environment, Food and Rural Affairs were among the hardest hit, with 10% budget cuts. Vince Cable’s Department for Business, Innovation & Skills, the last to reach a deal with Mr Osborne after tough negotiations, got off relatively lightly with cuts of 6% and a commitment to keep money for more apprenticeships, but student grants will be frozen. The Ministry of Defence will face further cuts to its civilian workforce as its budget was maintained in cash terms at £24bn – representing a real-terms cut. The Department for Transport will be forced to make savings of 9% in day-to-day spending, but will get the largest boost of any department in its capital spending, which rises to £9.5bn in 2015-16. Mr Osborne also said the government would spend £2m to “look at the case for” a £12bn Crossrail 2 project in London, which is backed by London Mayor Boris Johnson, and announced £3bn more for affordable housing in 2015. Further details of capital spending plans are expected on Thursday. Capital spending is down in real terms but is falling at a slower rate than forecast by the previous Labour government, Treasury sources insist. The chancellor announced that the council tax freeze, due to come to an end next April, would be extended for the next two years. 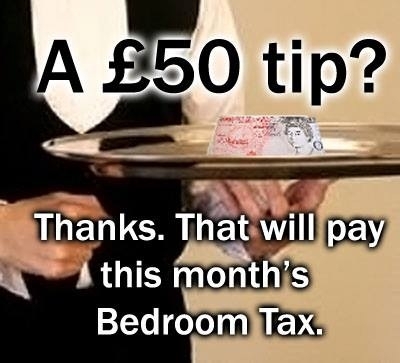 He said that would mean nearly £100 off the average council tax bill for families. But he warned of 144,000 further public sector job cuts and said local councils would have to make “the kind of sacrifices central government is making”. 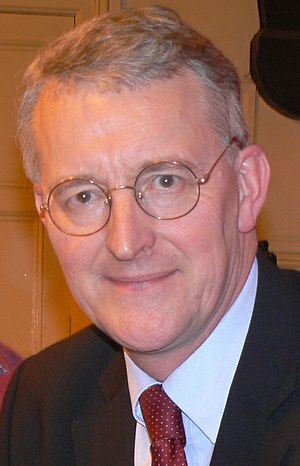 Sir Merrick Cockell, chairman of the Local Government Association, said further cuts would “stretch essential services to breaking point in many areas”. But he welcomed a plan by Mr Osborne to transfer £2bn from the NHS budget to fund social care, which has been badly hit by council cuts in some areas. Labour has said it will not reverse the spending cuts announced for 2015-16, although it will borrow money to invest in building more houses. Mr Balls launched a fierce Commons attack on the “out-of-touch chancellor” who, he said, had “failed on living standards, growth and the deficit, and families and businesses are paying the price for his failure”. “If the chancellor continues with his failing economic plan, then it will fall to the next Labour government to turn the economy round and to take the tough decisions to get the deficit down in a fair way,” added Mr Balls. He also pledged to study the pay progression proposals to see if it would work out cheaper than performance-related pay, which will be replacing it. The trade unions reacted angrily to the public sector pay squeeze. Prospect, which represents 34,000 specialist civil servants, said the Spending Review was a “kick in the teeth” for its members. Deputy general secretary Leslie Manasseh said: “The chancellor obviously isn’t aware that his government have scrapped progression for most civil servants already, apart from where it is part of an employee’s contractual rights. But business lobby group the CBI said the squeeze was “tough but necessary” at a time of tight public finances and it was also “encouraging to see that government will have greater control of the welfare budget through the new cap”. The Local Government Association said the planned 10% squeeze in 2015-16 was “over the top”, coming after the 28% funding cut in 2011-15. But council leaders have welcomed plans to give local authorities a £2bn slice of the social care budget. Ministers said this and other changes would reduce cuts to 2.3%. Direct funding from Whitehall to town halls will fall by £2.1bn to £23.5bn as part of the £11.5bn cuts announced by Chancellor George Osborne on Wednesday. David Sparks, the LGA vice-chairman, said the announcement meant some councils would have seen their funding cut by 40% in five years and were now facing “financial breakdown”. Local authorities fear the extra 10% cut will stretch essential services to “breaking point” but ministers see no evidence of that yet. The view in central government is that councils can and will find an extra tranche of savings. But local authorities may be victims of their own success in doing that so far. They always feared their reward for running a tight ship would be another package of hefty cuts. The more positive news, from a council perspective, is the apparent willingness of ministers to pool local spending money. So they finally get their hands on a significant chunk of NHS funding to ease the pressures on social care. But is it enough? For those banking on local economic growth, there may be some disappointment in the size of the much heralded “single funding pot” – money seized from other departments and awarded to the most compelling local enterprise partnerships. But Lord Heseltine, who came up with the idea, insists it is a good start. It was “inevitable” that in the future they would have to cut non-statutory services, such as road maintenance and cultural activities. “It is not right that local government should take what will be for many people a 40% cut. That is just over the top and it jeopardises the whole point of what we do in relation to our services and our communities. He criticised Local Government Secretary Eric Pickles’ decision to extend the freeze on council tax bills for a further two years by offering £833m in subsidies to those councils that do not raise rates. “Because Eric Pickles has not let councils raise council tax over the last couple of years it has distorted the financial base of local government, and that is why we have to have all of these cuts,” he added. But Mr Osborne told MPs that local government had already “taken difficult decisions to reduce staff numbers, share services and make savings” but it was right that it continued to make the same “sacrifices” as central government. The chancellor said a range of financial assistance for councils, including funding to help them to deliver integrated social care in partnership with the NHS, to encourage collaboration with neighbouring town halls, and to support the troubled families initiative, meant the actual squeeze in spending would be less than 3%. LGA chairman Sir Merrick Cockell said the social care announcement was a “start towards addressing the very real crisis in providing care to some of the most vulnerable members of society”. But Labour said it was wrong to impose further cuts on councils in the “areas of deepest need”. One local government analyst said town halls were likely to come under “immense pressure” and faced having to make major changes in the way they functioned. Ian Washington, of Deloitte, said: “After today, meeting statutory responsibilities and maintaining basic levels of service is likely to mean more councils sharing resources with health and police, greater involvement of the private and voluntary sectors in delivery and, possibly, full operational mergers between councils. The budget of the Department for Local Government and Communities itself will be cut by 10%. To top it off Chancellor George Osborne also said those claiming unemployment benefits who did not speak English would have to attend English classes. 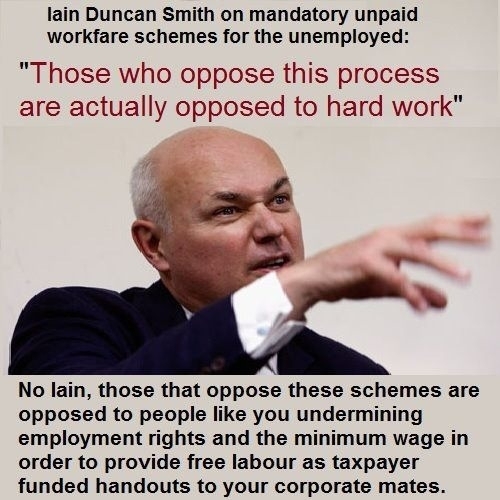 Jobseekers will also be required to have a CV before claiming benefits. 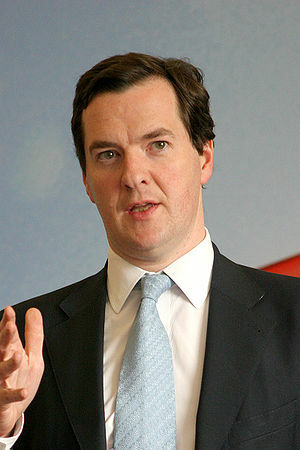 Mr Osborne made the announcements as he outlined the government’s latest round of spending plans. He said weekly meetings with Job Centre staff would become mandatory for about half of jobseekers. A Department for Work and Pensions spokesman said these were likely to be jobseekers who were deemed not to be doing enough to find a job themselves. Other claimants working hard to find a job will be able to continue attending fortnightly meetings, as is currently required. Currently claimants can begin receiving Jobseeker’s Allowance three days after they become unemployed, but this is to be extended to a week for all claimants. Treasury Secretary Danny Alexander told the BBC that extending the waiting period would bring the UK more in line with other countries, and help make job centre services more intensive and efficient. The Treasury says the reforms, being brought in from next April, will deliver £350m in annual savings. But critics said the delay could increase the troubles for families already suffering economic hardship, and may discourage claimants from looking for short-term contracts. 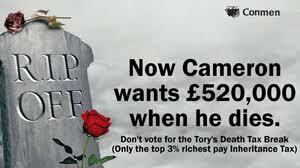 Duncan Weldon, senior policy adviser at the TUC, described the measure as “unnecessary cruelty”. The requirement to learn English is being introduced for those whose inability to speak English is a barrier to finding work. Mr Osborne said insisting that jobseekers speak English was “a reasonable requirement in this country”. “From now on, if claimants don’t speak English, they will have to attend language courses until they do,” he told the House of Commons. 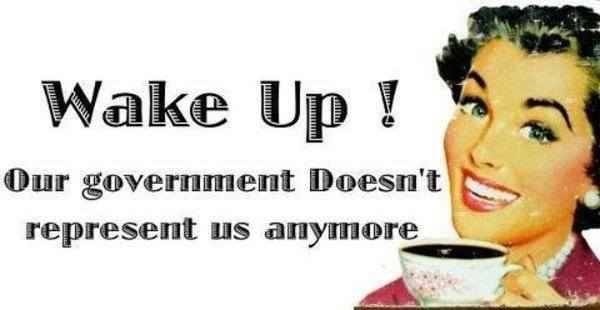 Now the coalition will have us believe that all is rose tinted glasses by stating that more people are finding jobs through the government’s flagship back-to-work scheme, according to figures from the Department for Work and Pensions. Some 13.4% of people referred to the scheme in the year to March found a lasting job – compared with 3.4% in the same period last year. Ministers say the figures “demonstrate the growing success of the scheme”. But Labour said the scheme was still failing to meet the DWP’s own targets and was “worse than doing nothing”. The programme is primarily aimed at getting people who have been unemployed for more than a year into a job. It is delivered by 18 prime contractors working for the government and hundreds of smaller sub-contractors from the voluntary, community and private sectors. Providers are paid by results, meaning they get most of the fee for finding someone a job that they stay in for up to two years. They get more for the harder-to-help jobseekers. Since it was launched in June 2011, 132,000 people have found lasting jobs on the scheme out of the one million referred to it, a success rate of approximately 13.4%. Figures for the first year of the programme, which launched in June 2011, showed just 3.5% of the people referred to the programme got a lasting job. The most dramatic improvements have been in the figures for people receiving jobseeker’s allowance, with nearly a third of 18-24-year-old jobseekers finding work. But only 5.5% of the unemployed people who have been moved to the programme from the Employment and Support Allowance, which supports sick and disabled jobseekers, found work. The DWP said the new figures only counted those who have been in work for long periods – six months in most cases, or three months for the hardest to help. Employment Minister Mark Hoban said: “The Work Programme is helping large numbers of people escape the misery of long-term unemployment and get back into real jobs. He added that the worst-performing providers would begin to lose market share from August. Shadow work and pensions secretary Liam Byrne, for Labour, said: “Three years into the Parliament, and nearly nine out of 10 people on this flagship programme have been failed. “Worst of all, the government missed every single one of its minimum targets, and in nearly half the country, the Work Programme is literally worse than doing nothing. “No wonder the benefits bill is £21bn higher than planned, and no wonder the chancellor himself was forced to attack ‘under-performing’ back-to-work programmes. 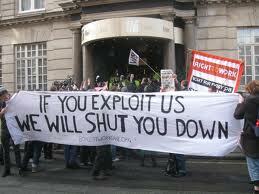 The TUC was also scathing about the DWP’s claims. General Secretary Frances O’Grady said: “Ministers should know better than to try and spin the Work Programme as a huge success. But the figures were welcomed by business lobby group the CBI, which said providers and the government had to continue to push for improvement. Unions laid into Chancellor George Osborne today for his latest “vicious attack” on public-sector pay. The savage Tory insisted wage rises would be held down to an average 1 per cent in 2015/16, continuing his policy of real-term pay cuts. And he said automatic annual pay rises in the Civil Service would end by 2015/16. Civil servants’ union PCS said it was “deeply unfair” to stop pay progression. Unison leader Dave Prentis added that the Chancellor had demonstrated “yet again” that he has no idea how pay progression works in practice. George Osborne’s confirmation that he will impose cuts in public spending of £11.5 billion in 2015-16, with projected annual borrowing of £96bn, underlines his failure to balance the books by the end of this Parliament. This is not a surprise. Few people expected success in this proclaimed target. However, this is not the most important consideration for the Chancellor. As huge as these sums may seem to ordinary people, they are eminently manageable. Osborne’s success lies in gaining broad acceptance of the idea that the annual gap between spending and borrowing is so horrendous as to demand swingeing cuts to public services. To put these figures into perspective, the last Labour government, with the support of Tories and Liberal Democrats, set aside £1.3 trillion to bail out the private banking system that had bankrupted itself through reckless speculation. The public spending deficit is a red herring deployed by neoliberal fanatics to justify an unprecedented assault on the postwar gains introduced by Clem Attlee’s Labour government. comments made now by Osborne and what he said previously about bank lending, Britain’s AAA credit rating and people’s living standards. However, his denunciation of the Chancellor’s concentration on planning cuts for two years ahead rather than boosting the economy was let down by his own conservatism. Ed Balls is aware that Osborne’s speech was less about tackling the deficit than about preparing for the next general election. The Chancellor believes that he played a trump card by laying down a further cap on benefits to be policed by the Office for Budget Responsibility that can only be lifted following a statement to Parliament. He calculates that the Labour leadership will be so petrified of being pilloried in the capitalist media as soft on claimants – for claimants, read work-shy spongers – that it will embrace this cap. That is the predicament into which the two Eds have cast themselves by accepting the broad outline of the conservative coalition case while quibbling over details. Both Miliband and Balls banged on at the weekend about “hard reality” and “the real world” making cuts in government spending inevitable. This, as Osborne never tires of pointing out, leaves them with a credibility gap where they criticise coalition cuts as unfair but fail to identify where a Labour government would wield the axe. Public service workers and their families contemplating further reductions in living standards by virtue of tens of thousands more job losses and below-inflation pay rises will not be convinced by Labour’s flabby response. The same goes for the unemployed, who face tighter restrictions, and workers in the private sector, most of whom lack trade union representation. There is no rational basis for accepting the Tory-Liberal Democrat creed that a crisis created by the private sector can only be resolved by attacking public services. It should be rejected, as should the entire neoliberal cuts programme. The clear class agenda of the coalition, exemplified by April’s £97,000 tax handout to 30,000 millionaires, must be challenged by policies to benefit working people at the expense of those who caused the crisis – big business and the rich. Taxes on wealth, high incomes, profits and financial speculation, together with rent and price controls, could redress the balance and provide vital investment in council housing, infrastructure, manufacturing and services. Chancellor George Osborne took to the Commons today to deliver his latest spending review amid much jocularity on the Tory benches and uneasy giggling from their Lib Dem lackeys. So far so predictable, and it didn’t end there… bland and ambiguous pronouncements? Check! Winsome attempts at humour? Check! Smug smirking? You got it! Referencing the woeful mess the inherited from Labour? Ditto! It was like he was being a git by rote. Maybe Osborne’s been getting tuition from Michael Gove. If there were a competition for the most absurd number of cliches jemmied into a ministerial speech, Osborne would be up for a gold medal. Thus we were told we had to make sure “we’re all in it together,” that we “live within our means” that we had to “deal with the world as it is, not how we want it to be” and not lump our debts “onto our children’s shoulders” by adopting a “something for nothing” attitude. All that was in the first two minutes. And he wasn’t finished there. He said that if he were to abandon his austerity plans Britain would be “back in intensive care,” which would be a very bad thing because this mob have decimated the NHS so badly it wouldn’t get a bed. He boasted that immigration was down by a third since the coalition took power. You have to admit they’ve taken a novel approach to tackling the issue – make the country so god-awful that no-one wants to come here. It’s a real gift to be able to announce the most savage measures that will devastate millions of lives and still be boring, but he managed it. There was something in his review for everyone, and none of it good. A further 144,000 public-sector workers are to be axed and their wages cut in real terms. In addition automatic annual pay rises would be scrapped for civil servants, NHS staff, teachers, prison officers and police, because let’s face it they haven’t made themselves unpopular enough with those sections of society yet. The unemployed, of which there will be a lot more by the time he’s finished, will have to prove they are seeking work before they receive their benefits and mothers with young children will have to attend jobcentres and do likewise. The review was based on the three principles, he claimed… “Reform, growth and fairness” and then singularly failed to address any of them. One of the most curious pronouncements was his boast, seemingly out of nowhere, that the site of battle of Waterloo is on target to be restored in time for the 200th anniversary in 2015. You’d have thought he might have steered clear of referencing a battle where a jumped-up megalomaniac with delusions of grandeur got his comeuppance, but then it was probably just an anti-European thing to appease the backbenchers and the 1922 Committee. Elsewhere we learned that Eric Pickles is going to tighten his belt – no mean feat in itself – and allow his department to take a 10 per cent budget cut. Conversely, we learnt the spooks of MI5, MI6 and GCHQ are going to get a budget increase, but I’m sure they knew that already. So, more torture and snooping for your tax buck – marvellous. There was probably more, but you lose the will to live after a while. Even Cameron looked pained at times, although that could just have been the residual effect of all that brown-nosing at the G8 the other week. And then it was the turn of what is risibly still referred to as the opposition. 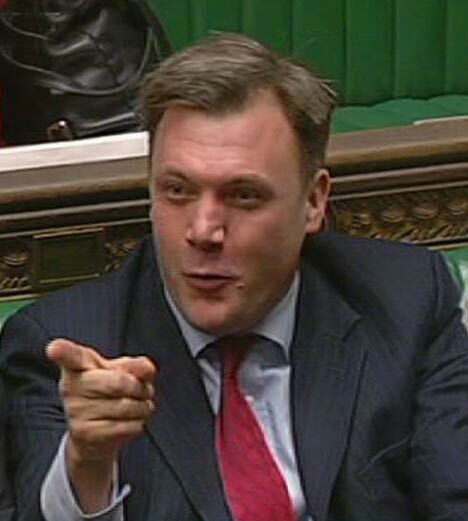 Ed Balls, as usual, made a lot of noise, and while I’m sure he thinks he comes across like Jake Lamotta in Raging Bull he actually more closely resembles a bilious bullfrog. He did the usual mad-starey-eye thing and Ed Miliband sat behind him jiggling up and down like a schoolboy who desperately needs the toilet. Balls rightly pointed out that Osborne has made a complete haimes of the economy, but the problem is he’s already admitted he’ll do exactly the same if elected which made his faux outrage both farcical and redundant. It wasn’t so much a clash of the titans as a battle of the blowhards. Welcome to slum-dog UK as many households cannot afford to pay their council tax under this coalition government as they continue attacking local council departments throughout England and Wales while both the Conservatives and LibDems gives their donors a big toast by saying feel free to continue donating your hard cash whilst we squeeze more cuts in public sector workers, council tenants, low paid and middle incomes. In an intriguing development to further the aspiration of the coalition donors from George Osbourne his quote The British economy is “out of intensive care” and moving towards a recovery from financial crisis. He using a coded message to the coalition chums to say look what we have done for you now. I need to dangle a few carrots to the voters as they are not on board with us like we invested more in NHS, created jobs in the private sector, cut the MOD, Business, Home Office, and Welfare budgets to name a few. After that we can pull the the plug on them again. Ha ha we will be laughing all the way to our off shore accounts then stick two fingers at them. The penny has dropped coalition has finally start to realize that there is two elections coming up in 2014 which are Local Government and European Parliament. No doubt they will stop playing the cat and mouse games with the press until after the elections are over then carry on with the attacks on local councils by adding more pressure by using the jaws of doom on us. While one in ten households in England are behind in paying their council tax – a rise of 45 per cent on last year, a total of 1.48million homes were in arrears in April 2013 compared with 1.02million in April 2012, new figures show. The Labour party said the government’s austerity measures and cuts to council tax benefit were to blame. ‘Everyone should pay their council tax but just as happened with the hated Poll Tax, councils now have to chase people on low incomes for money they simply don’t have,’ said shadow communities secretary Hilary Benn. The Local Government Association said councils are being squeezed from both sides with less central government funding and lower collection rates. ‘Councils have been pushed into an impossible position by the government’s ten per cent cut in funding for council tax support,’ said a spokesman. However the government pointed out that the council tax benefit cut only came into force in April meaning the increase could not be put down to that. It also said council tax has been frozen since the coalition came into office and claimed it had fallen by ten per cent in real terms. ‘We took unprecedented steps to deliver three years of council tax freeze support for residents,’ said a source close to the government. ‘Care and consideration must be given to people in financial distress. Yet successive governments have failed to produce a coherent long-term strategy for housing, in a report, the Rics housing commission said some of the coalition’s policies were providing short-term help for the house-building industry. But it argued that ministers’ lack of consistency over the past 50 years has exacerbated the failures of the market. The government said it was cleaning up the mess left by its predecessor. But Labour’s Jack Dromey said the coalition had failed to prevent the “biggest housing crisis in a generation”. The Rics study concluded that the housing market has not delivered enough homes at affordable prices. It welcomed the government’s Help to Buy scheme – which lends people up to 20% of the value of a new-build home – but called for further action to increase the supply of properties. The housing commission’s report recommended doubling the current target of 100,000 new homes on publicly owned land, and said builders should be made to start work within three years of acquiring planning permission. “Governments must increase the scale of their ambitions to match the scale of the challenges,” it said. There had been a “near disappearance of government-funded research on housing since 2010”, the Rics study added. It called for the creation of an independent committee to advise politicians from all parties on housing supply, and a new body bringing together private-sector and academic research on housing. Better co-ordination is needed between housing ministers in Westminster and their counterparts in the devolved institutions, which are largely responsible for housing policies in Scotland, Wales and Northern Ireland, Rics argued. It also said ministers “must carefully review the introduction of their welfare reform measures and… be vigilant that the unintended consequences do not outweigh any benefits”. In particular, the under-occupancy penalty on housing benefit claimants in social housing deemed to have surplus bedrooms should not apply where the tenants are unlikely to find alternative suitable accommodation in the area, it said. Rics also criticised the Right to Buy scheme – under which council housing tenants can buy their homes at a discount – which it said “frequently reduces the supply of affordable rented homes in a locality”, and called for it to be replaced. Housing minister Mark Prisk said the government was “fixing all areas of the dysfunctional housing market it inherited”. I salute Ed Miliband for showing true leadership by being open and honest with the membership and public with his speech on 22 June 2013 in Birmingham at the National Policy Forum. Before my followers get hot under their collar and then start to sending text message, email, phoning or faxing me I would suggest that all look at this article on its merits. “Our starting point for 2015-16 is that we won’t be able to reverse the cuts in day to day, current spending unless it is fully funded from savings elsewhere or extra revenue, not from more borrowing,” Miliband said. He also added that the party needs to be “ruthless” about pursuing Labour’s public spending priorities if it wins next general election in 2015. British Chancellor George Osborne is looking to find £11.5 billion in savings before making his Spending Review announcement on 26th June 2013. When I reminisce about the coalition work programmes I must say I’m very disappointed with the results with grave concerns. This coalition still continues with the gung ho style approach towards unemployed. I’m sure that some people may have witnessed this as receiver of benefits or as a new claimant. Already there are some people are heading to the food banks as they cannot afford to pay the dreaded bedroom tax let alone their council tax. Then there are the middle income is now turning to food banks as well. It will not be long before we all see everything being encourage to fill out all the benefits on line which will includes the so called universal pensions then all payments will be paid monthly. Then there is another problem looking at it from a social policy point of view there are some people can’t manage their finances properly which is more of a budgeting issue or they refuse to accept change while other cant and would need support to encourage them how to do this task. There is the current underline of the north-south divide is not a myth but a harsh reality for millions of families and individuals in the region and neighbouring regions. Austerity has intensified this problem with increasing levels of impoverishment and a sharp increase in the dire need by people for foodbanks and other forms of NGO welfare support. The Lib Dems should be ashamed to be associated with this class war against the poor and the vulnerable in our communities, led by Tories who extend the damage done by Thatcherism and all its ugly properties. Thousands descend on London yesterday 22nd Jun 2013 for the People’s Assembly against Austerity to launch a united opposition that will mobilise co-ordinated anti-cuts action at national, regional and local level. The event is Britain’s largest political conference in recent history – outstripping the combined attendance of the annual conferences of all three main political parties – and is backed by Britain’s major unions. The assembly gave a voice to the millions of people who oppose failed coalition government policies which are wrecking the economy, forcing down wages and decimating public services. It takes place 48 hours after the three biggest unions – Unite, Unison and the GMB – announced plans to target the Tory Party conference in Manchester this September for a rally to defend the NHS and Welfare reform. The assembly has been hailed as a big breakthrough in creating a united front against the Tories and their Lib Dem accomplices. Unite general secretary Len McCluskey said: “The People’s Assembly is the most significant step yet in building a nationwide opposition to the government’s policies of social devastation. The People’s Assembly has been endorsed by over 100 organisations including Unison and Unite, which between them represent almost three million workers across the public and private sectors. It is also backed by thousands of individuals and groups, including academics, pensioners’ organisations and campaigners fighting to save the NHS. Green MP Caroline Lucas, who is speaking at the assembly, said: “It offers a crucial opportunity for civil society to come together and take a stand against this government’s socially destructive and economically illiterate austerity programme. The assembly will also launch two “People United” bus tours organised by unions Unite, Unison, GMB, PCS and CWU and the TUC to take the campaign against austerity into communities. The tours culminate on July 5 at the NHS’s birthplace, Trafford General Hospital in Manchester, to celebrate the 65th anniversary of its foundation. I see all too starkly the dire consequences of the cuts, attacks on benefits and the north-south divide is having and the growing misery that this creates. Suicides are increasing and families torn apart by desperation and need. The Tories care not one jot about mostly Labour Party heartlands and are interested only in the rich shires of Tory-held south and south-eastern England, their political base. North-west England has a proud history of industry, commerce and inventiveness and a solid history of organised labour. Any future Labour government has to have the boldness of the 1945 government in tackling want and not cling to outdated concepts and unproductive cuts which do nothing to regenerate local economies, but instead perpetuate and multiply the problems and misery. Here comes another interesting point its alleged that Vince Cable Vince Cable is refusing to accept deep cuts to his departmental budget without a guarantee of billions in funding for job-creating capital projects, as arguments over this week’s spending review reached a new pitch. With just three days before George Osborne is due to announce £11.5bn of cuts for 2015-16, the business secretary was said to be in no mood to back down in a dispute he regards as crucial to the government’s economic credibility. Cable is arguing, in talks with Treasury ministers and officials, that the coalition must have “a strong story to tell on growth” to run alongside its tough message on slashing the budget deficit and balancing the books by 2018. In a dispute that has pitched him against the Treasury chief secretary Danny Alexander, a fellow Liberal Democrat, Cable is fighting for investment spending on everything from science and business funding to grants for training and skills development. Insiders said that he was not pushing a party point but a case he believed was in “the national economic interest”. In March, some raised questions over Cable’s future in the cabinet when he broke ranks to ask, in an article in the New Statesman, whether the government “should borrow more, at current very low interest rates, to finance more capital spending: building of schools and colleges; small road and rail projects; more prudential borrowing by councils for housebuilding”. Osborne is expected to declare on Wednesday that the economy is moving from “rescue to recovery” and to hold out the prospect of more emphasis on infrastructure spending. Hailing the achievements of the coalition in saving “money on welfare and waste” he will pledge to invest “in the roads and railways, schooling and science our economy needs to succeed in the future”. But Cable is said to want specific commitments for his own department on capital spending. 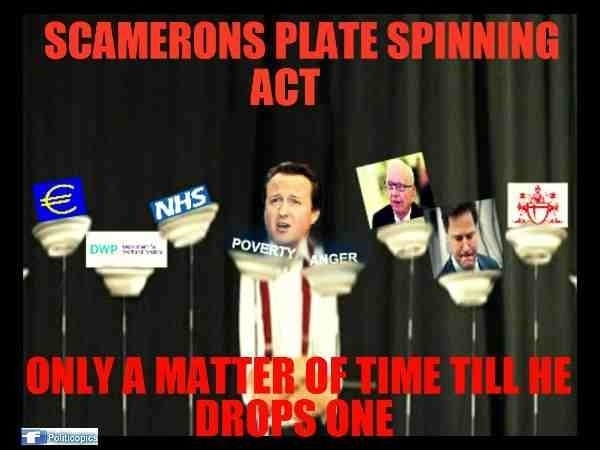 Osborne is also expected to announce a cap on welfare spending. Most departments were said to have already settled or to be close to settling their budgets with the Treasury, with cuts in unprotected departments (those other than health, education and international development) averaging about 8.5%. “So when George Osborne stands up next week and announces his cuts in day-to-day spending, we won’t be able to promise now to reverse them, because we’ve got to be absolutely crystal clear about where the money is coming from. We will show the discipline that the challenge of our times demand. It is the only way we can credibly change our country. It’s a hard reality. “I am clear about it. Ed Balls is clear about it. And everyone in the Labour party should be clear about it too.” Miliband’s speech will dismay some on the Labour left who say the party should offer an alternative spending plan to the coalition. Former cabinet minister Peter Hain will support a campaign this week by the centre-left pressure group Compass for Labour to abandon austerity as endorsed by Osborne. Compass believes that it would be “politically and economically disastrous” for Labour to follow Osborne’s lead and will call for a £55bn stimulus package to create one million jobs. The group says Britain “cannot endure more unnecessary years of austerity and those who are least to blame for the crisis must not pay the price of it”. Nick Clegg has said that – with another coalition government increasingly likely after the election – his party would learn from power-sharing with the Tories, and the next Lib Dem manifesto would not promise things that were unrealistic. Recently I had an opportunity to visit some parts of the West Midlands where the Bedroom Tax have had a high profile in the media which this coalition will not back down. It’s no surprise that coalition’s member of parliament were on hand to kill off the debate by saying that they needed to cut welfare bill and they have to pay their share towards their housing, and council taxes. This is like telling us how many children we all should have in place, welcome to the coalition’s China’s one child policy. There are many would agree that welfare needs to be reformed many have said this government is going about it the wrong way the coalition should change direction. Already we have seen some people who once enjoyed living in places like London relocating to the West Midlands Region which has a knock on effect this has played into the hands of far right groups such as EDL and BNP not far behind them is UKIP all are reliant on pandering to the press on immigration, housing, and jobs. This message has been consistent with Labour policy so in a nutshell Labour will not be drawn into quick fix or short term until they have a wider picture of how much is left in the treasury when they come into office. Five years is a short term to some and medium term to others. Gone is the mantra of “Big Society” and “We’re All In It Together.” To those who are seeking for short term solution I say it will only bring tears to them by hurting their pockets with no money to buy food to put on the table. David Cameron is quoted at Prime Minister Question more jobs have been created in the private sector what he has not mentioned that some of those companies are not being monitored and paying less than the national minimum wage let along a living wage. Has anybody heard of the quote “A promise is a comfort to a fool” Now we have learnt that coalition is promising the sum of £1m to anyone who can solve the biggest problem of our time for Penicillin, aeroplane or world widewebs. Yet in Birmingham will have to implement £600m cuts which put council’s future in the spotlight this will be the most radical overhaul of services in more than a century as it has to cope with coalition cuts over 6 years. I guess someone will have to do the work of the coalition which nobody would like to do but has to be done. It would not surprise me there will be talks of don’t do it by certain far left groups no names mentions. I’m sure that no council leaders would want to break the law but to work within the law. To those who who belong to fringe groups would say just resign I say no as that would be the easy option and the coalition would be rubbing its hands and at the same breath claiming another one bites the dust. There is a case to say that some councils would continue with the Victorian model. But for councils to survive they have to move with the times as hard as it maybe to acknowledge. 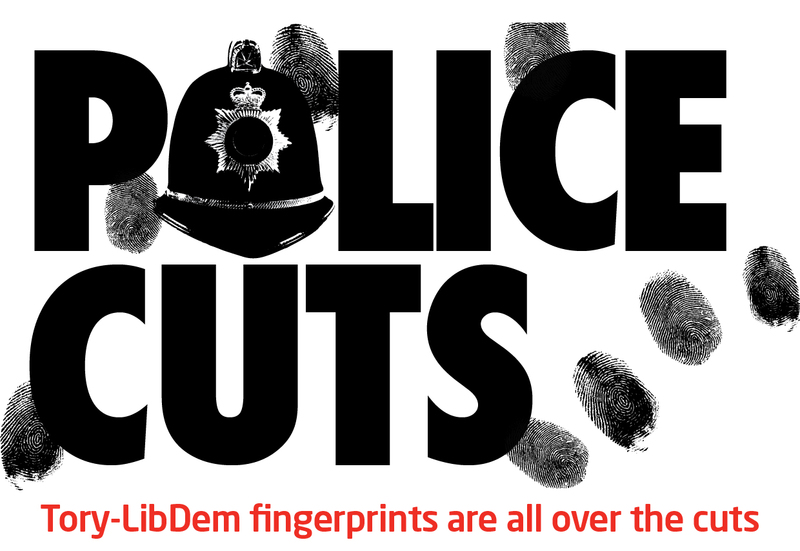 Birmingham City Council has never faced large cuts like this before, I dread the Leader of the council’s job to implement those cuts this is in light of a series of green papers outlining proposal for the future council functions introduced by the coalition. Who would have believed in today’s society that low income families will be depending on food parcels since the coalition has changed the rules on the crisis and budgeting loans. Yet our economy has stalled a average of 1 in 5 young adults are unemployed in the West Midlands this coalition is weak in coming forward to implement jobs and growth in this region. This coalition would continue to argue to do away our rights at work; it’s time for a movement for change to encourage our young and none voters to come out in force to help bring down this government using the ballot box. Hopefully to bring back a majority in a Labour Government no if or buts about it or would people wake up to another coalition in place for the next five years. Official inflation figures understate the real extent of rising costs, but even the government’s own CPI scheme lays bare the ongoing misery for working people and those dependent on benefits. People working in the Civil Service and other public services are already in the fourth year of pay restraint or freeze, equating to around a 15 per cut in disposable pay. Although there is no official equivalent for the private sector, a flatlining economy with mass unemployment militates against a successful wages movement. Government ministers and employers’ representatives continue to observe economic green shoots invisible to the naked eye, but no-one is convinced. The Bank of England has bunged £375 billion worth of quantitative easing into banks in the vain hope that the private sector will be enthused to borrow and to invest in growth. There are few takers because of the prevailing sombre mood. Companies are not confident that there is sufficient demand within the economy to make investment profitable. They await a government lead. Recent decades have seen growing corporate dependence on the state, through privatisation, public private partnerships, public finance initiatives and government incentives and guarantees. The idea of speculators – investors in City-speak – accumulating their own capital to risk in new ventures is a distant folk memory. Most British capitalists, for all their bold rhetoric, have grown to rely on government finance to provide their profits, both directly and indirectly. At the same time, since Margaret Thatcher’s 1986 big bang deregulation of financial markets, opening City trading to aggressive US companies, British companies have adopted the massive reward packages justified across the water on the basis of audacious risk taking. The consequence of the 1986 big bang was the 2008 big bust when reality burst the derivatives and US property junk bonds market bubble, threatening the survival of major banks and even the international financial system itself. Government bailouts of banks allegedly too big to fail have saddled many governments, our own included, with huge financial deficits. And rather than make the financial sector pay to clear up its own mess, new Labour under Gordon Brown and Alistair Darling and the conservative coalition under David Cameron and George Osborne decided that someone else should pay the bill. 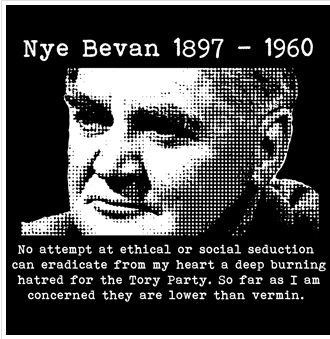 That someone was the working class, in both private and public sectors, pensioners and benefits claimants. 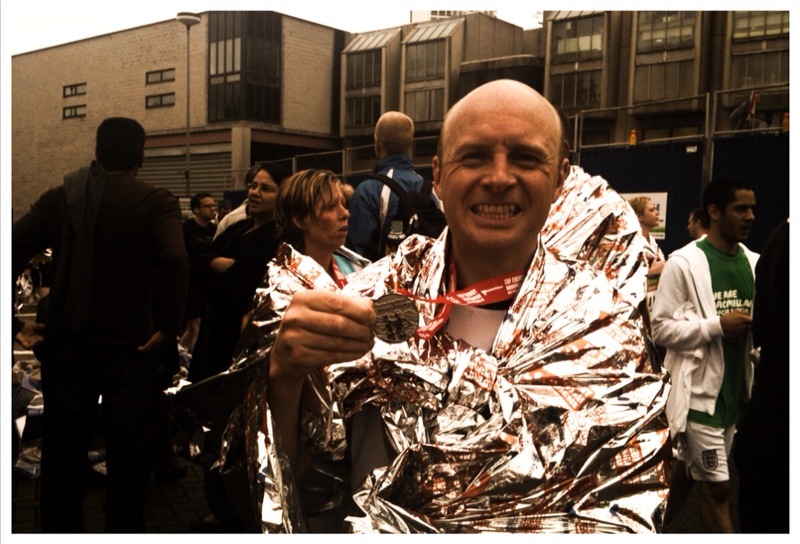 Top bankers have continued to receive huge financial packages, including bonuses, together with platinum parachutes, as Stephen Hester’s leaving present recently showed. What incentive is there for banks and other transnational corporations to act differently when they prosper whatever they do? Why should the government and its City friends lift their boots from the necks of working people and the poor when under little pressure to do so? One of the tasks of this Saturday’s massive People’s Assembly Against Austerity event in London is to build up such pressure. Its first task is to state simply that life doesn’t have to be like this and to put forward a declaration showing that an alternative exists. The second and more difficult task is to win mass support for the alternative and to mobilise millions in struggle to isolate the neoliberal minority and to demand a government willing and able to chart a new course. It’s alleged that austerity will now last until 2020 in UK. The coalition will continue to play the blame game but fail to recognize that it’s happening on their watch to be frank it’s becoming like scratch record and people are catching on to it now. 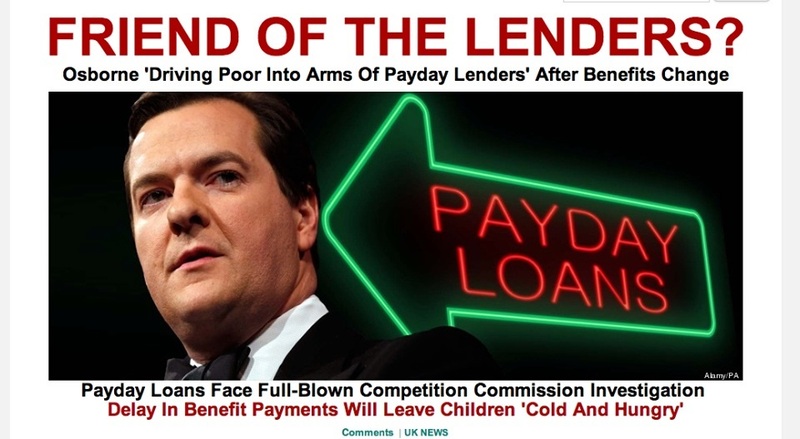 Lets not forget that the chancellors announcement will be in a few weeks time so what will George Osbourne pull out of his hat this time to save his career? Er more of the same. Govt has disproportionately cut funding to councils with the highest mortality rates. How do they expect health inequality gap to close? There is no doubt that councils are suffering from coalition cuts throughout the UK which means councils will have to find alternative means of raising revenues to keep them afloat. Already we have seen council cut backs from a range of services we all enjoy. Sadly this will be the trend for the future like privatising our much like services such as our libraries, social care, leisure and parks to name a few. Some how this does not help the poorest areas which will suffer the most whilst the most affluent areas will get the cream of the crop I kid you not. There will always be winners and losers no matter whichever political parties wins be it local or general elections. There have been some suggestions that the European Funding may save some of the council services. Me thinks not. Whichever incumbent political party wins the elections they still have to look at other ways to introduce the funding to local authorities for their fair share of the pie. For some reasons I can just imagine the wider picture for the jaws of doom in place and trade unions having a task to changing its way of campaigning to save their members job which is not easy as their members pay their union subs for trade unions to represent them during the good, bad and ugly times whilst they are employed. Which leads me into saying that the coalition would rather channel all their energy to attack all trade unions with their affiliation to the Labour Party to divert attention away from them over the lobbying scandals which the coalition had three years to sort out. More can be done to stimulate the economy by creating more jobs and investing more sustainable work programmes to get the long term unemployed as the current system is failing and the unemployed are still fighting with nothing to show for it. the coalition in my opinion won’t stand up to address this by implementing growth, jobs and business at the heart of their core values instead they play into the hand of coalition donors who wants to scrap the minimum wage and invest less into our council services. Just as much as Central Government has stationary duties this also applies to all councils throughout the UK and Wales. To be honest no matter how hard local authorities campaign to have more funding coalition will not cave in but instead are quite happy to use the mantra Big Society and “we’re all in it together”. Lets see how this affects most services provided by the local authorities like lack of social housing which both previous and present governments still have fail to address. Instead the coalition has giving the free light to what I call to rogue planners which they would not be held accountable. My only hope is if we see a return of a Labour Government that they may reverse some of the planning laws that the coalition made whilst they were in office to allegedly boost growth. Many people long for improvements in their council services as most have pay their taxes to build more roads, housing, better policing, street lightings, fire, leisure, and care services and schools. Watching MPs try to get to grips with the internet is usually as embarrassing as watching your dad on the dancefloor. But calls to flog council houses on eBay aren’t just naive – they’re idiotic. The net offers possibilities never before seen in history to communicate, collaborate and connect from the grass roots right up to the top. So it’s depressing that when asked to look at boosting “digital engagement” MPs can look no higher than buying and selling – and via the tax-dodging likes of Amazon, too. What on Earth do the MPs even mean? Are they suggesting that council homes should be sold off to the highest bidder rather than to their occupants? It’s hard to escape the conclusion that the authors of this report have never even switched on a computer themselves. But worse than that, their half-baked proposal is a solution to a problem we don’t have. There is no crisis of lack of “engagement” with the right-to-buy scheme. There are no masses of council tenants clamouring to be allowed to buy their homes on eBay. But there is a desperate shortage of housing. There is a crisis of rocketing rents, of damp, crowded, run-down private accommodation, and of exploitation by unscrupulous landlords. And there are masses of ordinary people crying out for change. Millions of households can’t afford a mortgage amid the house-price bubble. Millions can barely afford the rent. Millions want a decent, affordable, secure home – the kind which used to be our right until Margaret Thatcher started flogging off the nation’s assets. “Digital engagement” is a complete irrelevance. What we need are new homes – hundreds of thousands of them. Not “social housing” nor “affordable housing” nor any of those other fudges, but council homes. Homes built by the public, for the public, and owned by the public. Thatcher did her best to destroy council housing, but she failed. Now it’s time to rebuild a system that offers the only solution to Britain’s great unaddressed crisis. We’ve seen strange echoes of the run-up to the 1997 election from the Labour leadership lately. Shadow chancellor Ed Balls tells Newsnight he would maintain Tory Chancellor George Osborne’s spending plans for 2015-16. Then he extols the virtures of “tough fiscal rules” and “big and painful choices” as a way of dealing with the deficit. Gordon Brown said as much back in the 1990s, in very different economic circumstances. The Labour government that followed decided public spending on infrastructure was best funnelled through private finance initiative (PFI) schemes – which we are all paying for now. Indeed, our grandchildren’s grandchildren will still be paying for these schemes. Ed Miliband seems to be trying to slip into the same new Labour groove – gaining a perception of “responsibility” in the eyes of the financial press and populist right-wing tabloids. His Newham speech last week did contain some good points. He correctly pointed out that unemployment was expensive, and that we need more decent jobs on the living wage or more. He specifically pledged that Labour would invest in council housing as a primary way of dealing with the housing crisis. But there were also unpleasant deviations down the road. 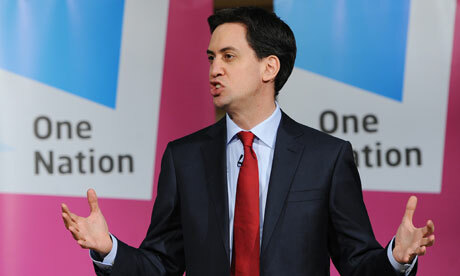 Miliband pandered to the Daily Mail’s obsessions, immigration and social security. There was no clear undertaking on upholding the right of family reunion being undermined by the current government, with its shocking minimum earnings requirements for a British national who wants to bring non-British national family members here. There was no challenge to the appalling approach to asylum that the coalition takes. And there was little progress on the question of social security or benefits cuts, with Miliband echoing Balls in demanding caps on social security spending. Receiving benefits is not a lifestyle choice. Being forced to rely on social security can happen to anyone if they lose their job or have an accident. The “reforms” to the system being introduced by Iain Duncan Smith have terrible consequences. The cap on housing benefit is causing the social cleansing of whole areas of central London and other major cities, as private-sector tenants who need assistance to pay sky-high rents are forced out. 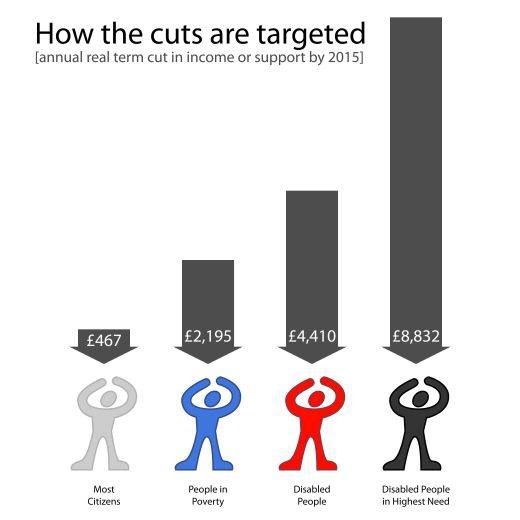 The cut in tax credits means real poverty for many families. 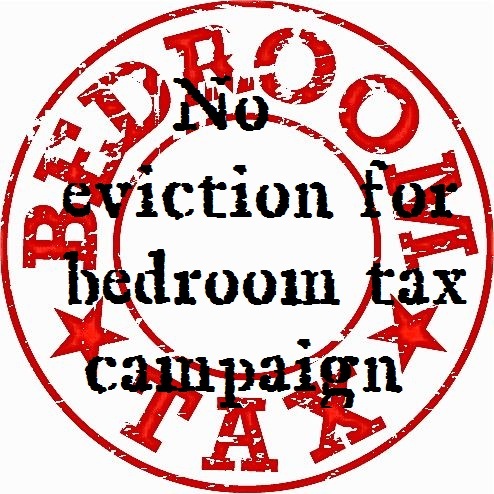 And the bedroom tax is unnecessary and unjust, punishing some of the most vulnerable people in the country as they are told to downsize to unsuitable, and often non-existent, houses. It is causing real misery. One woman has killed herself. Suicides have also been among the dreadful consequences of the “fit to work” interviews being forced on all people with disabilities. In the face of Duncan Smith’s assault and the Tory-led “debate” on benefits our response must be robust. We, the labour movement, believe in a society where everyone is prevented from falling into destitution or homelessness, and where children do not risk growing up in absolute poverty. The Con-Dem reforms have removed the safety nets that stopped these things from happening. Tory Britain’s answers to poverty are food banks, rough sleeping and children who come to school hungry and wear hand-me-down clothes from charity shops. Instead of demolishing the Tory welfare myths, Miliband proposes that we cap social security spending. What this will amount to in practice is very unclear. It is impossible to know how many people are going to be unemployed, rendered homeless or destitute at any given time. The whole point of the welfare state is that we can offer protection when these things happen unexpectedly. Labour therefore needs urgently to develop alternatives that excite and motivate people so we can defeat austerity and win the next election. We might take a leaf out of Civil Service union PCS leader Mark Serwotka’s book. In a recent article he outlined his union’s 10-point plan to boost the economy. It includes breaking the pay freeze to put more money in the pockets of public-sector workers and increasing the minimum wage to do the same for all workers. It suggests introducing rent controls to reduce spending on housing benefit and protect tenants, investing in infrastructure to get the economy moving and improve services and maintaining real public ownership of the banks so we can control our own money. It points out we could save billions at a stroke by cancelling the replacement of the Trident nuclear missile system, and we could collect tax from the very richest people in the country, closing tax loopholes and shutting down tax havens – especially those we’re responsible for such as the Isle of Man, the Channel Islands and other British Overseas Territories. The political lessons of the austerity packages imposed by the European Central Bank (ECB) on southern European countries are harsh. The once all-conquering Pan-Hellenic Socialist Movement (Pasok) of Greece has all but disappeared from political view as it tries to impose the ECB’s wishes. The Spanish Socialist Workers Party (PSOE) was heavily defeated at the last election as it attempted to placate the ECB to stay in the euro. This cowardice in the face of the bankers’ demands has left six million Spaniards without work and three-quarters of the country’s young people searching for work. No-one can pretend it will be easy to deal with all the problems this government is creating and will lump the nation with long after 2015. But we can start with something far better than encouraging yet more debate over the alleged waste of the welfare budget and instead focus our attention on the criminal injustices being foisted on modern Britain. All over the country workers in the public sector are losing their jobs and being replaced by contract workers, or private-sector staff whose wages are lower, working conditions more precarious and job security non-existent. 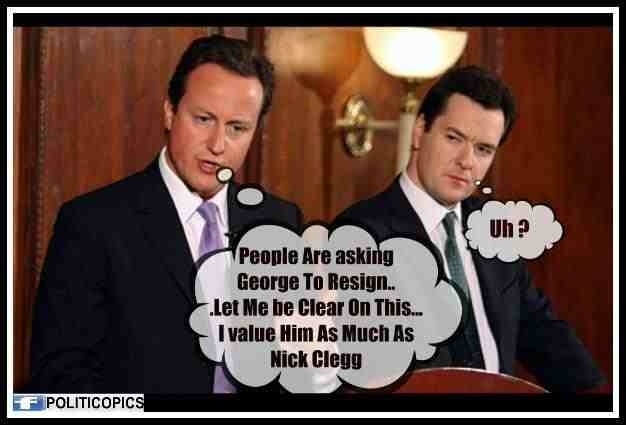 We must be alert to the deep political agenda which runs through Osborne’s fiscal manoeuvring. This is a brazen attempt to rejig our society in favour of the richest and most powerful and to permanently disempower the majority and the poor. It’s a war we have to win. On June 22 the People’s Assembly will take place in central London. By last week so many people had already registered for it that organisers had to mount a successful (after some obstructionism) appeal to Westminster Council to close the road alongside to erect an overflow marquee. Anyone who has campaigned against public-spending cuts, for the cancellation of Trident or to protect hospitals and public services will know where the public mood lies. It’s up to the labour movement to ensure that the alternative is one of a society that prioritises dealing with the blight of inequality, not in following those who would slavishly placate the masters of a system which has caused all our problems in the first place. The coalition said on Monday it would introduce a long-promised statutory register of lobbyists by July in an effort to clean up politics. The cheek of the coalition they need to remember the quote People who live in glass houses should not throw stones when it comes to donations to political parties it’s no surprise that some of the swiveled eyed loonies are upset by their co-chair alleged comments and that they found it very necessary to cross over to UKIP and in the process taking their donations away with them whilst they continue to press the panic buttons while the Tories are lacking nutrition in their bank balance. In the mean time UKIP says thank you very much and stick two fingers at the Conservatives. This policy only came about of a knee jerk reaction on the grounds of three Peers and a MP allegedly made claims after some news reporters posted as energy representatives and the coalition are the most unpopular government in history. This coalition had three years to open debate in both houses to have a lobbyist register. 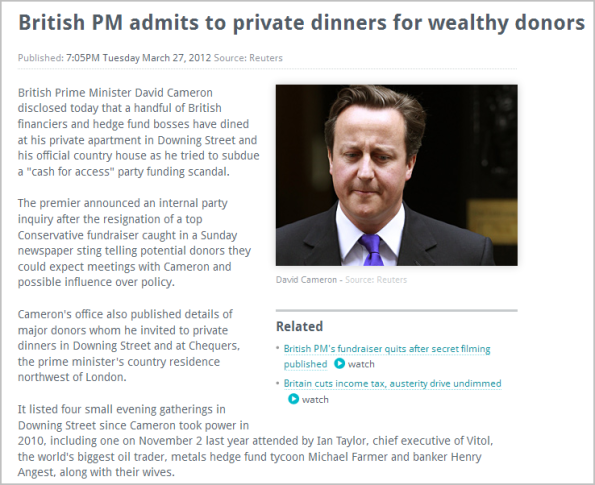 Tories must be worried some of their donors are mostly from millionaires and city bankers all who have put the noose around David Cameron to be more right-wing lets not forget what happened during their own conference where some of their donors started to trickle small amount of cash as a warning to change course. Has anybody notice what they BNP Tories, and UKIP have in common in regards to donations they all want to see the end of trade unions affiliation to Labour Party. 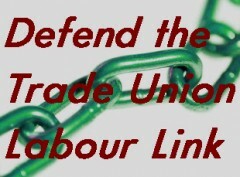 There are those who are members of the Labour has alleged called to an end of trade unions to Labour but they are the few compared to the many of us whose who wish it to continue no doubt this is a hot potato lets see how far will this right-wing agenda will push it as far as I’m concern it’s a case of the divisions the Thatcher and Major coming together to once and for all want to drive a wedge to cause a maximum damage to Labour in their last days of office which I don’t say this lightly. To those who say this rubbish or nonsense, I say pick sense out of nonsense before we all can move forward. I say let’s have the debate it and get a consensus to move forward.